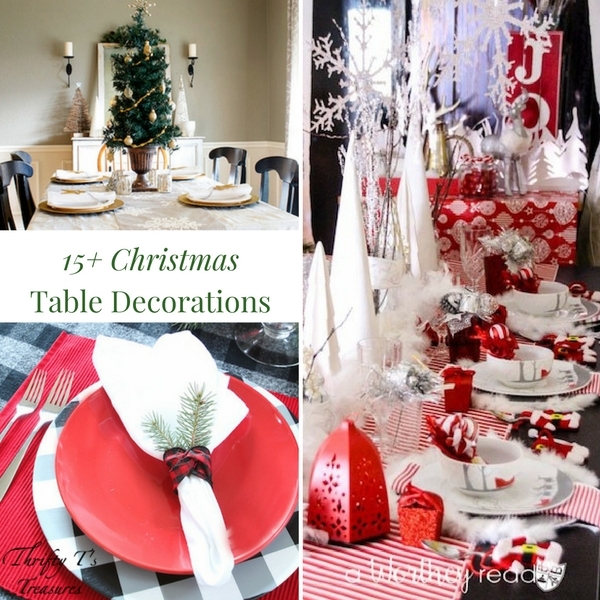 You’ve decorated the tree and mantle in your house (or apartment) and now it’s time to dress up your dining room table for the holidays. 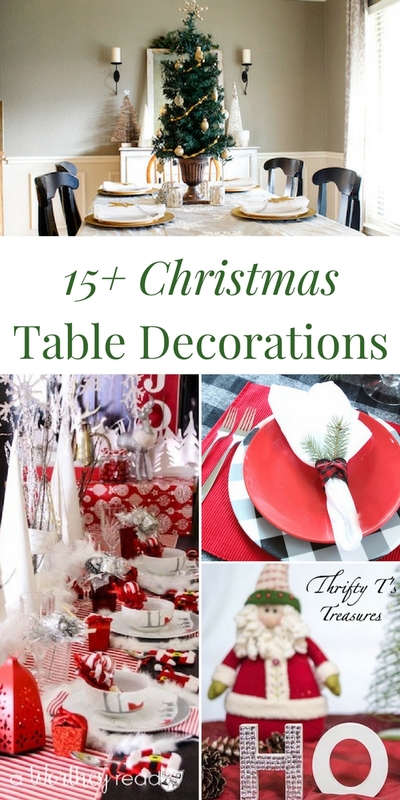 From rustic or elegant, traditional or modern, to simple, easy and cheap, you’re sure to find what you’re looking for in this fun list of Christmas table decorations! 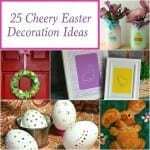 There’s even a few easy DIY ideas for the kids to make….not to mention a few fabulous centerpieces to inspire you. 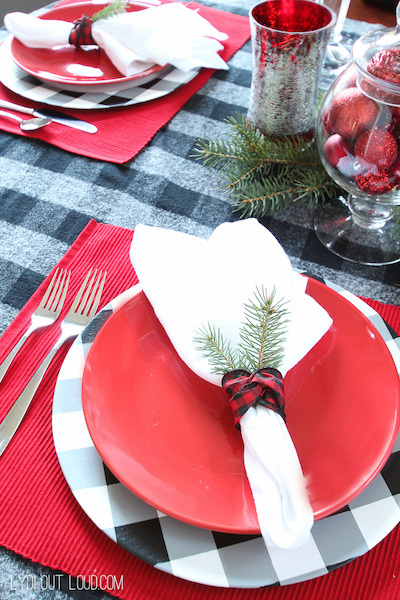 These DIY holiday charger plates are the perfect addition to your table’s place settings. 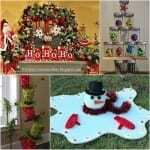 How fun would it be to have multiple terracotta Christmas trees lining your table runner on your Christmas table? 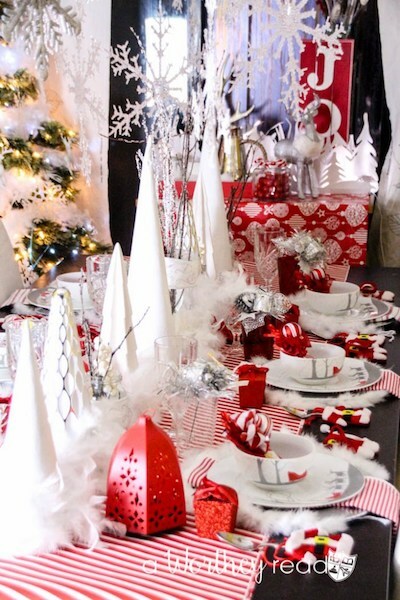 Wow your guests with this red, white, and silver Christmas tablescape. 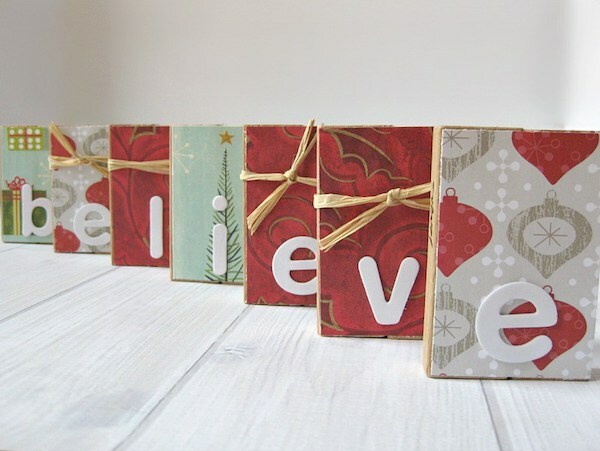 Not only are these Christmas decor from repurposed game blocks super simple to make but they are just too stinkin’ cute! 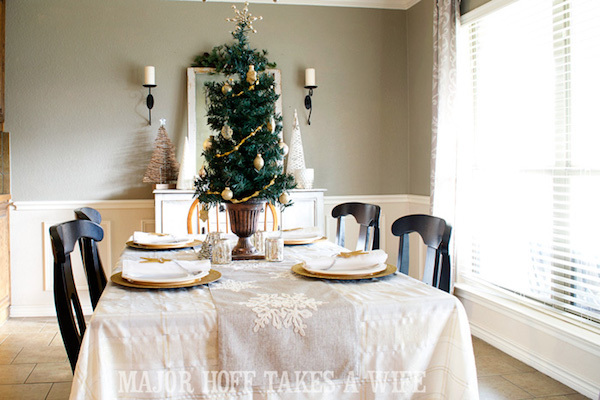 Simple and elegant are the words I would use to describe these table decorations and dining room ideas for Christmas. 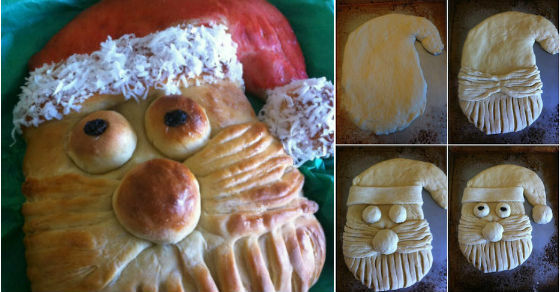 I am continuously blown away at the creativity of some people. 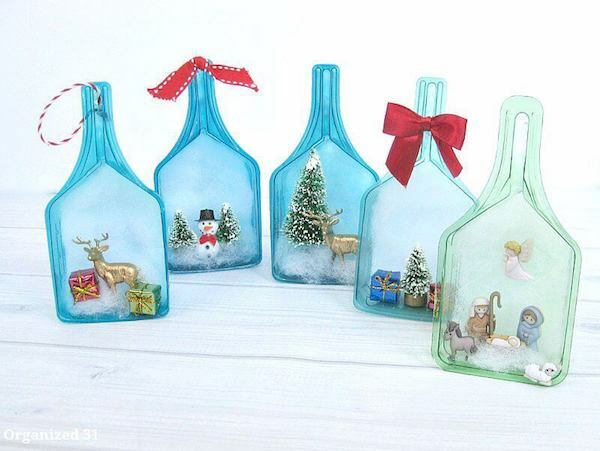 Who knew you could turn recycled laundry scoops into Christmas decorations?! 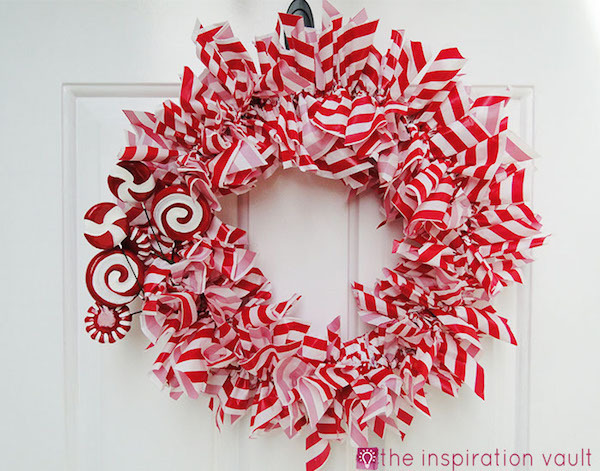 Skip the front door and place this adorable candy cane wreath in the center of your table and fill it with different sized candles! 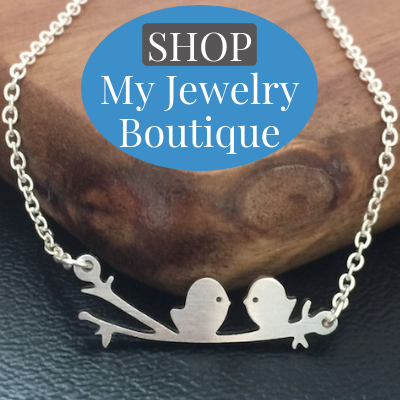 Frosty needs a place at your table too! 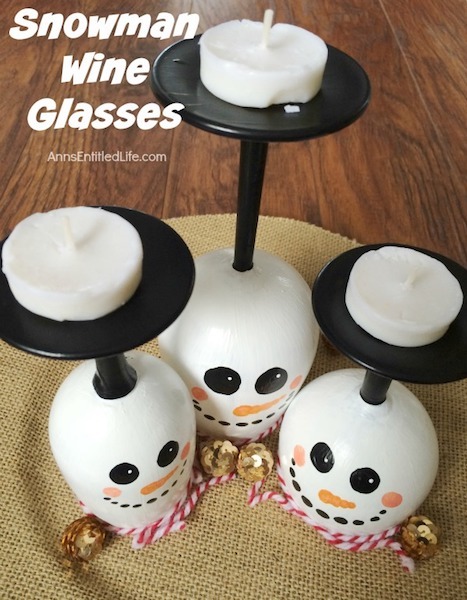 Learn how to make an adorable DIY wine glass snowman. 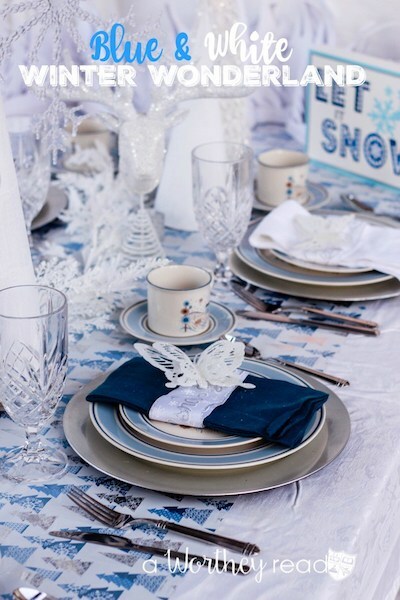 “Let it snow, let it snow, let it snow!” Bring the snow indoors with this blue and white winter wonderland tablescape. 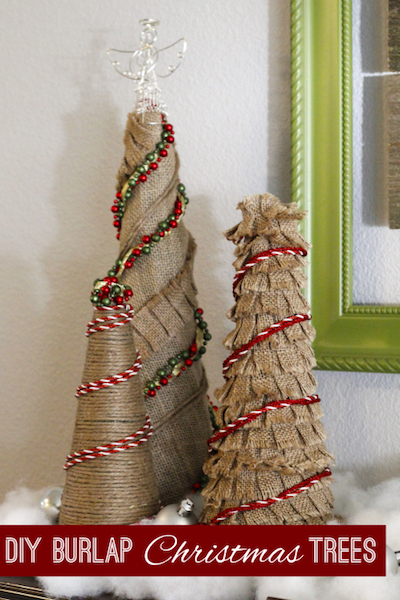 Not only are these DIY burlap Christmas trees easy to make, but they’ll look great on your table! 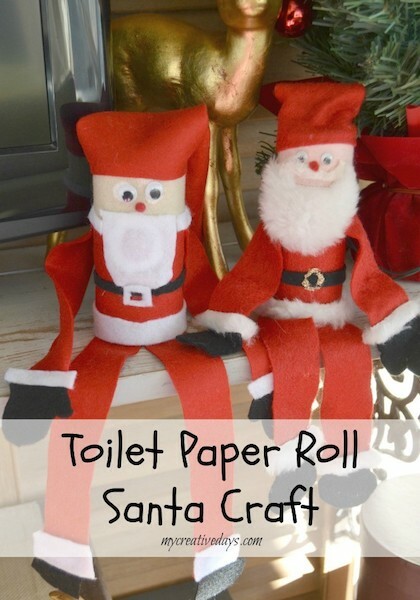 You won’t have any problems getting the kiddos to the table with adorable toilet paper roll Santas. 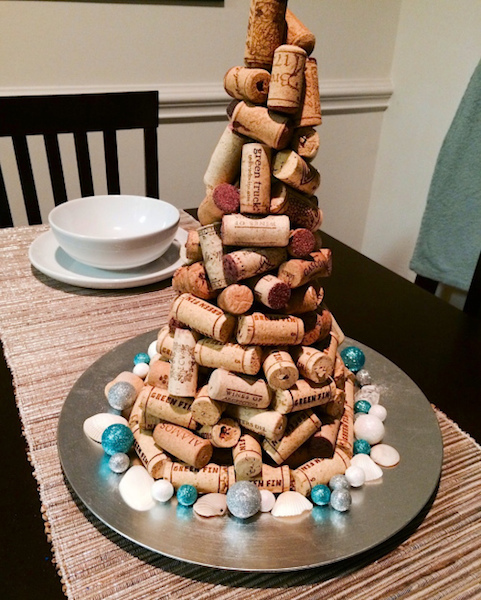 Mix it up with a non-traditional tree like this wine cork Christmas tree. 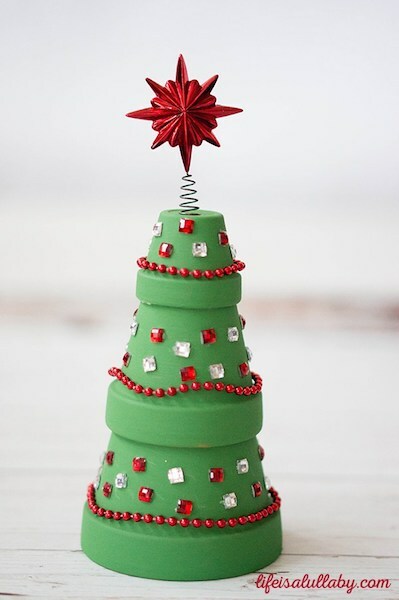 Your kids will have a blast creating (and displaying) this dryer vent Christmas tree. 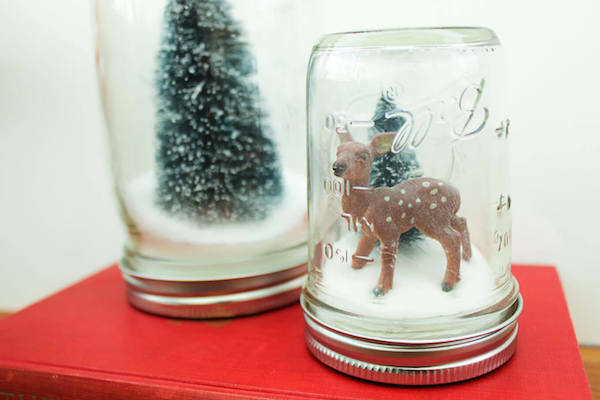 Whether you use traditional Christmas trees and reindeer or quirky plastic toys, learn all the details in this DIY snow globe tutorial. 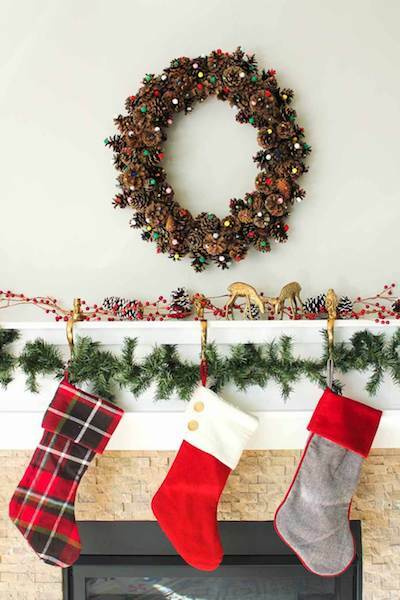 This wreath looks fabulous over the fireplace but I think it would look great on your Christmas table too. 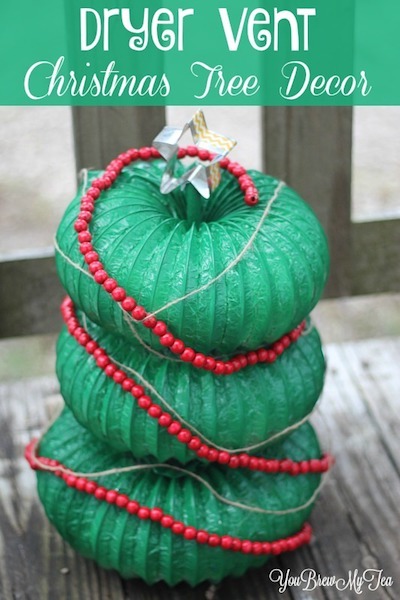 Learn how to make your very own with this DIY pinecone wreath tutorial. 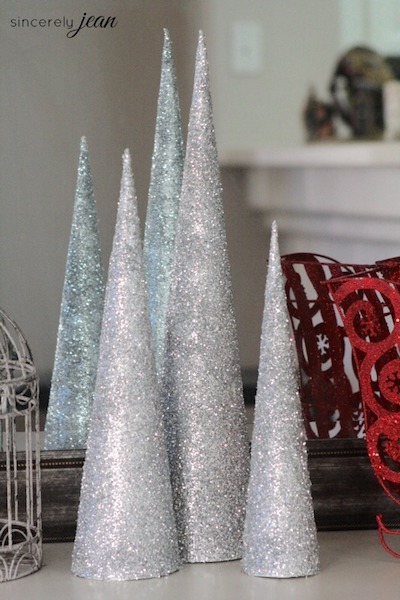 Glam up your tree with these DIY cone Christmas trees. 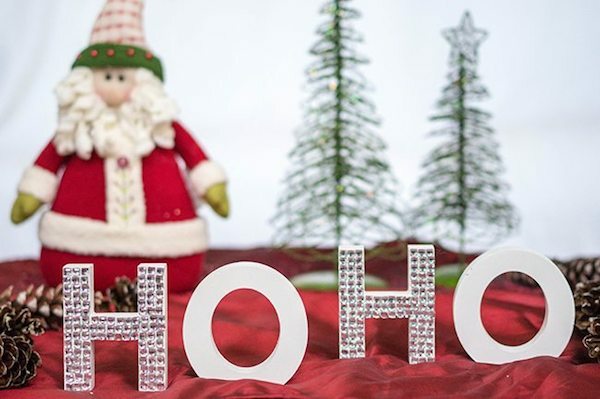 I’m just amazed at how easy these DIY ho ho Christmas letters are to make!